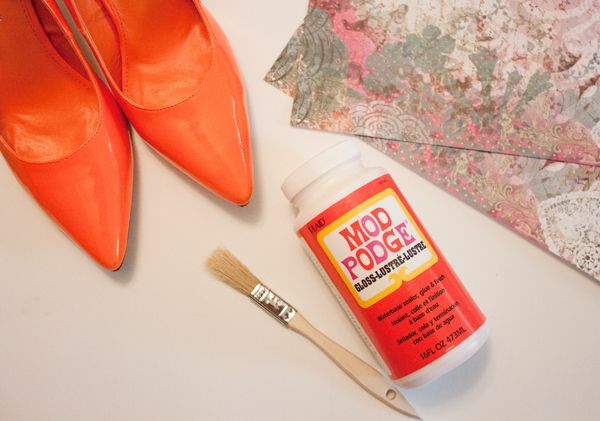 Simply cut strips of paper and apply a layer of Modpodge onto the surface of the shoe. Once that's done, press the paper firmly over the glue and hold to adhere to the shoe. Seal the paper in place with another coat of glue, covering the entire shoe in this way. Let dry overnight to set everything in place, and you're done!